No matter what time of the year it is, the South is the ideal vacation destination. Whether you’re looking for a romantic trip with your special someone or a fun place to spend time with friends, you’ll find the perfect activities in this gorgeous region. One of the best places in the South to take a getaway is the charming city of Jackson, MS. Known for its numerous amazing places to eat and its fascinating museums, Jackson also includes countless places to go shopping. If you want to find the best souvenir while you’re staying in this incredible city, check out the many spots to go shopping in Jackson, MS, and start planning your vacation today! An incredible shopping mall in Jackson, MS, Highland Village contains everything you’re looking for during your vacation! Whether you’re looking for a new addition to your wardrobe or a bit of local treasure, you’re guaranteed to find it here. They have all your favorite designers as well as independent vendors so you’ll be able to browse a wide spectrum of products. Metrocenter Mall is another favorite of both locals and visitors alike in Jackson, MS. The Outlets of Mississippi is also located nearby in Pearl, MS, with its own extensive variety. Do you love uncovering rare, hidden gems in antique stores? The city of Jackson is overflowing with fantastic places to go antique shopping! There are numerous antique malls and markets, so take your time browsing; you never know what kind of treasure you’ll find! If you’re an art enthusiast, you probably want a piece of artwork from a local artist to take home with you! Jackson, MS, is home to numerous art galleries that you will adore. Stroll through these many galleries to admire the hard work and creativity of these artists. Many of their works are also on sale to the public as well. Take a look at the full list of Jackson art galleries here to help you decide where to go first. Don’t let your fun end in Jackson! Explore the great shopping in the nearby towns of Ridgeland, Vicksburg, and Madison, MS, to conclude your day. Come Stay with Us at the Fairview Inn Bed and Breakfast! Complete your adventure in Jackson, MS, by treating yourself to a weekend in the finest accommodations possible! Fairview Inn is the perfect place for you to unwind; our bed and breakfast in Jackson, Mississippi, not only offers comfortable rooms and suites, delectable dining, private lounge, library, and game room, but we also have our very own spa for you to enjoy. Choose from exploring the many attractions of downtown or simply reveling in the comforts of our cozy inn and its relaxing, peaceful environment. You’re bound to love what we have to offer in our rustic haven of Mississippi, so don’t hesitate another moment; check our availability and book your stay today! 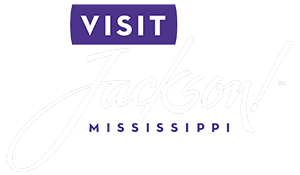 To learn more about the many things to do in Jackson, MS, download our free Vacation Guide!